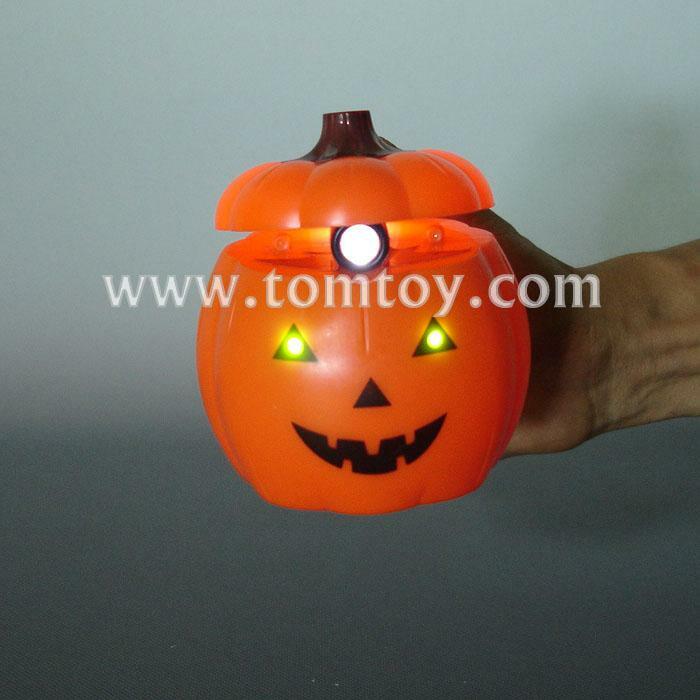 1.Adorable Projection LED Pumpkin Toy Pot are crazy bright and cackle with ghostly delight ! 2. A cool light show flashes in both the crazy-eyed pumpkin and with projection function . 3.Measurement : 9*11.5 cm . 4. Remove pull tab and press button on the grip To activate the Pumpkin Toy Decoration Pot. 5.Replaceable 3*AG13 Batteries included and installed .